What? He was kicked out of the lab, and he didn’t bring his flint. Cut him some slack. 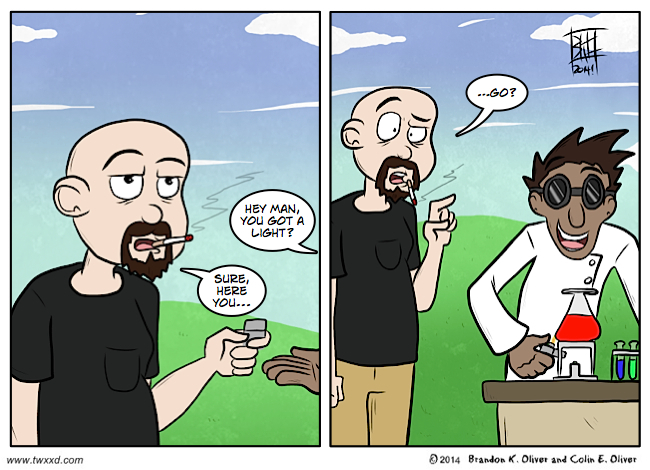 That’s the last type of lighter I would want to use to light one of those burners. Some do what they must for SCIENCE!